Physicists divide the world of elementary particles into two groups. On one side are force-carrying bosons, and on the other there are so-called fermions. The latter group comes in three different flavors. Dirac fermions are the most famous, comprising all matter. Physicists recently discovered Majorana fermions, which might form the basis of future quantum computers. 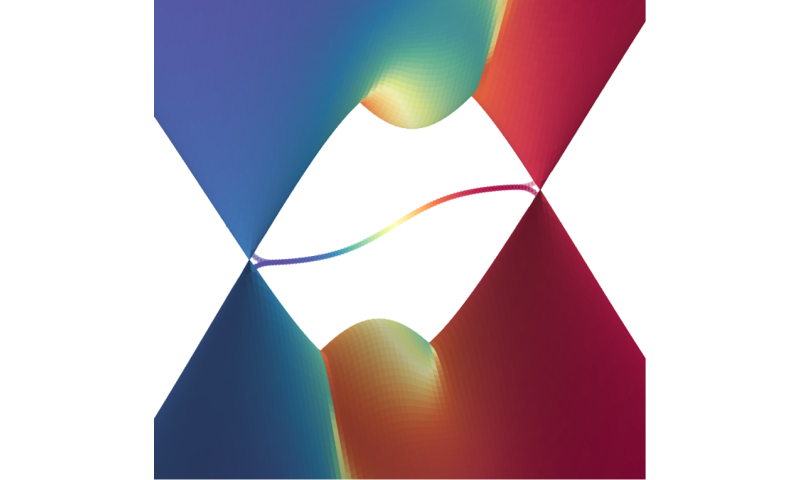 Lastly, Weyl fermions exhibit weird behavior in, for example, electromagnets, which has sparked the interest of Prof. Carlo Beenakker's theoretical physics group. Oddly enough, Beenakker and his group have found cases where this does actually happen. Following an idea from collaborator Prof. İnanç Adagideli (Sabanci University), Ph.D. student Thomas O'Brien built a computer simulation showing that materials harboring Weyl fermions actually exhibit this weird behavior. This has been observed before, but only at artificially short timescales, when the system didn't get time to correct for the anomaly. The Leiden/Sabanci collaboration showed that in special circumstances—at temperatures close to absolute zero when materials become superconducting—the strange scenario occurs indefinitely. Until now, physicists considered this to be impossible due to underlying symmetries in the models used. That gives the discovery fundamental significance. "We study Weyl fermions mainly out of a fundamental interest," says O'Brien. "Still, this research gives more freedom in the use of magnetism and materials. Perhaps the additional flexibility in a Weyl semimetal will be of use in future electronics design." The question lies in the experiment and the assumed particles. Particles, do not exist. leakage current, reverse current, hysteresis lag, they are phenomena that occur in electronic circuits. There is friction in electron movement which causes problems in sensitive circuitry which operate with very low signal strength, and has occasionally to be compensated for. All particles are names for fields events. All fields are collections of particles. Contrary, all particles are excitation modes of fields. All fields, field events, are the result of the motion and/or the existence of charge centers. The center is not a particle. Particles do not exist as fundamental. A neutron is a set of opposite charge in a containment. The minimum object that may be called a particle.